The following items are available from COZMO for hire (mandolins, mandolas, mandocellos) and purchase (mandolins, strings, tuners, grip mats, footrests and music stands) to COZMO Members and COZYMO Participants. Please contact secretary@cozmo.org or phone 0421 043 082. Epiphone MM30-S A-style F-hole. In lightweight poly foam hard case. Purchase price: $330. Bruce Wei A-style round-hole, In hard case. Purchase price $35o. To Buy: Purchase for the price listed above. Contact the Secretary. return the instrument to COZMO. Any damage sustained to the instrument during the hiring period must be paid for by hirer. COZMO will arrange for the repair by a luthier at the hirer’s cost. 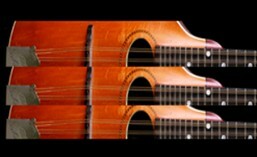 D’Addario Strings – Mandolin Flatwound Medium FW74 (set of 8 strings: 11, 15, 26, 36 gauge): $16.00 pkt. ENO EMT-320 clip-on metronome-tuner – For tuning guitar, bass, violin, mandolin, ukulele. Chromatic (C, F, bB, bE). Mic and clip input. Uses one CR2032 battery (included): $15.00 ea. PVC Grip Mat – Anti-sliding, black. Ideal for instruments with curved sides and/or back, will ensure stability of instrument while playing seated. Size 500 x 285mm: $2.00 ea. High-Density Foam Grip Mat – Anti-sliding, black. Imported from Haus der Musik Trekel, Hamburg, Germany. Highly recommended for use with high-quality instruments as this material is guaranteed not to affect their laquer finish. Sizes: large (500 x 500mm): $11.00 ea or small (350 x 350mm): $9.00 ea. ‘Ashton’ footrest – Adjustable, black metal. Strong and lightweight: $12.00 ea. ‘K&M’ 14640 footrest: Ultra-lightweight, black, 307gm weight, 204mm x 92mm plastic footpad, aluminium legs: $20.00 ea.